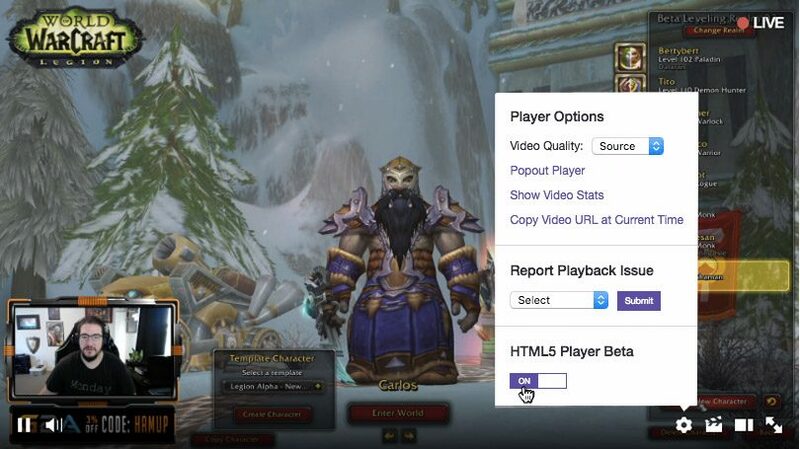 The Twitch Community has been asking for a HTML5 video player for quite some time. Last year at TwitchCon, Twitch announced that they were hard at work on a full HTML5 video player. The initial rollout was suppose to release in the second quarter of 2016, obviously that did not happen. Today Twitch took to their blog to let their community know a beta test of the full HTML5 video player will start in July. The HTML5 Player Beta will first open to Turbo subscribers. Based on the success of this initial test, they plan to steadily expand beta access to more users toward the end of the Summer. The next big question you might have “What took so long?” Twitch’s top priority in building an HTML5 video player has been to make sure you can watch the same streams you love in a noticeably smoother package. When faced with the decision of releasing a product that did not meet their quality standards or spending more time to fine-tune your viewing experience, they made the hard choice to delay the release past their second quarter deadline. After months of hard work, they finally have just a few finishing touches to wrap up before they start their beta test. The focus of this beta will be on identifying breaking points and areas for improvement. There are still several systems, including ad support, that are not quite ready for a full release, so they are starting the beta with users who do not see ads site-wide. Though some partners have enabled Ad-Free Viewing for their subscribers, subscribers may watch many channels on Twitch, making it tricky to gather consistent data. They also need a lot of feedback and data based off of minutes watched, which made Turbo subscribers the perfect group to kick off our HTML5 test, since they watch video at significantly higher rates than any other users on Twitch.